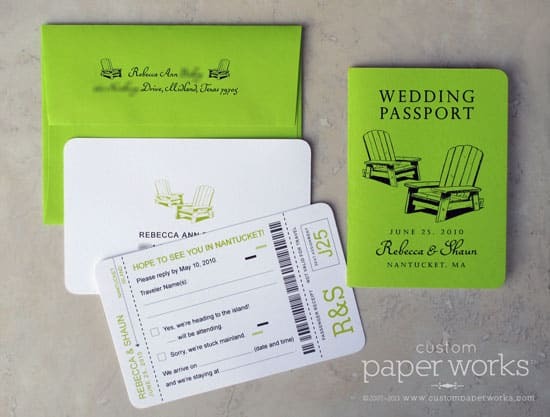 Becca and Shaun sent me on a hunt for the brightest possible neon green paper for their boarding pass save the date cards. 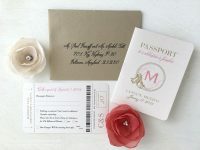 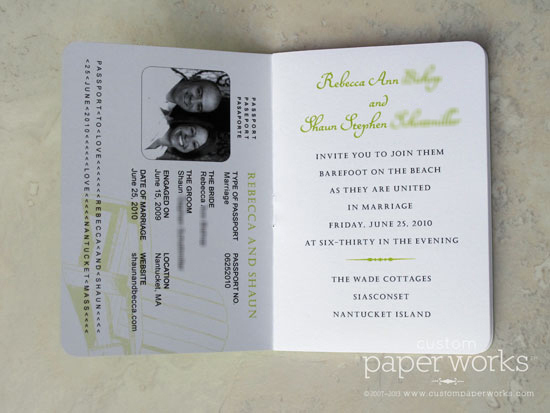 So of course we incorporated the same on their passport invitations. 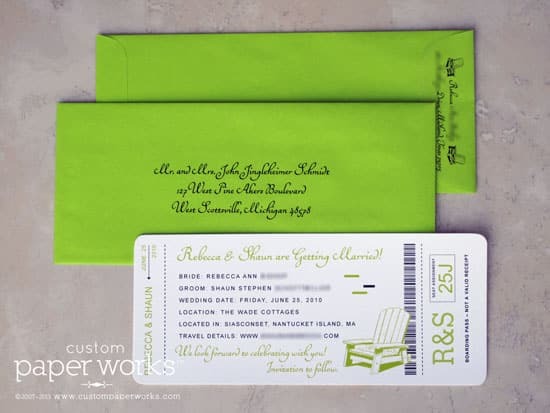 A rustic (somehow, even in neon!) 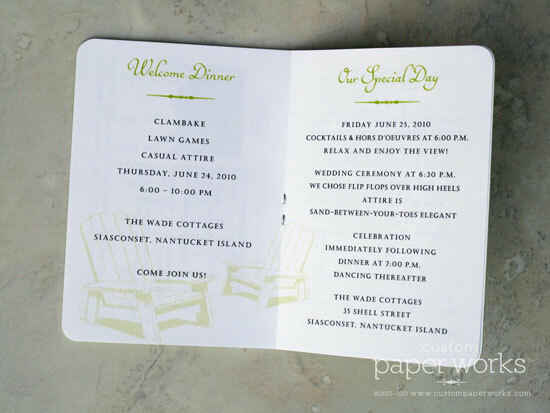 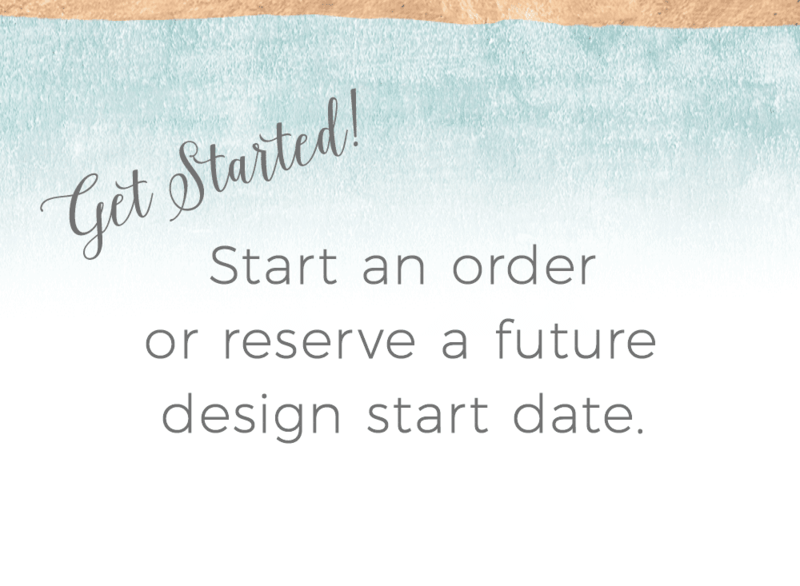 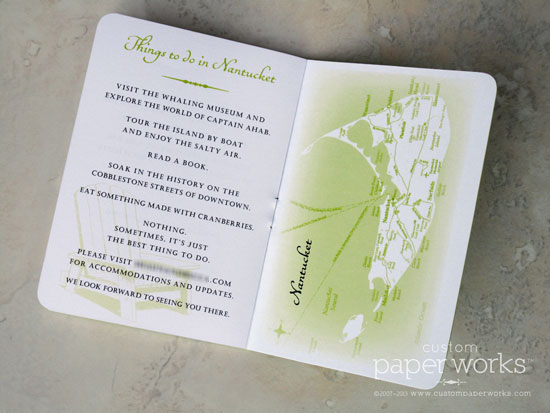 map of Nantucket is featured on the inside back cover and the beach chair theme is continued throughout the pages – even on the back of the rsvp post card by the response address.